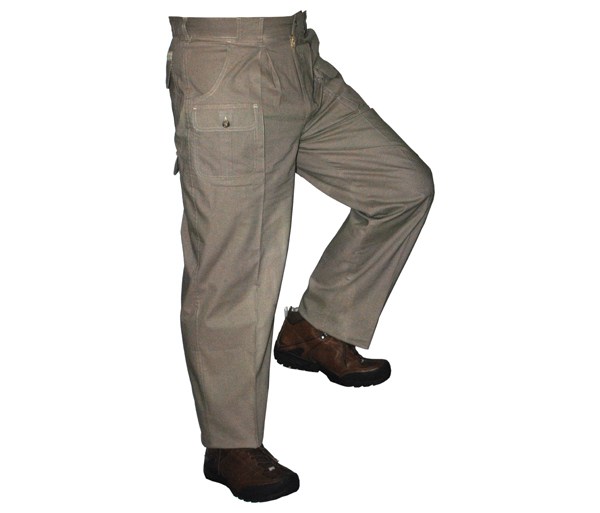 Made by Tag Safari the Six Pocket Cargo Safari Pants for men features two side entry pockets, two buttoned flap covered cargo pockets in front, and two buttoned flap covered cargo pockets in back to carry all of your essential travel gear. Front pleats and elasticized waist panels afford generous movement for exploring the wilderness or just knocking around the house. 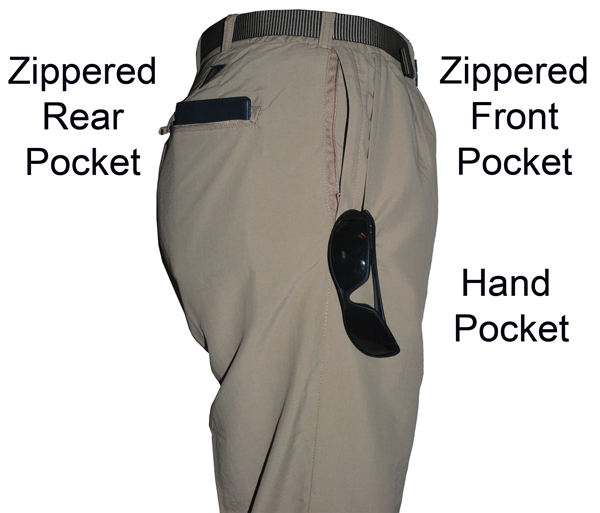 Made of "Tropicool" cotton from Africa, they will keep you cool and comfortable. 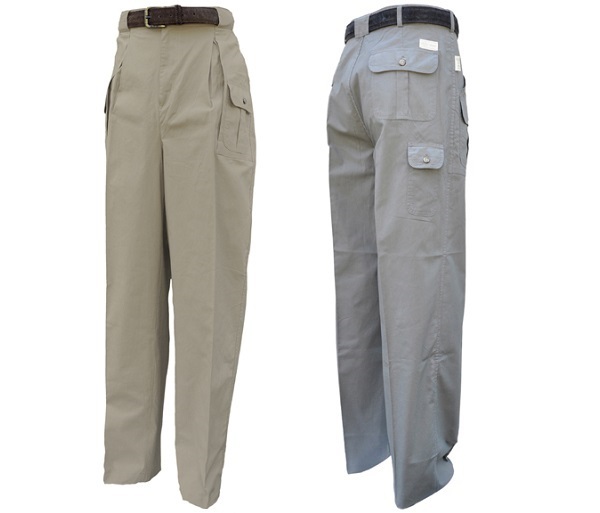 Description: 6 Pkt Cargo Style Athletic Fit, Inseam 33"
Sizes: Even sizes 30" through 42"